All equipment in the Rigden Shed roof rafters will be removed and placed outside ready for disposal on Saturday 9 March. If you think you own any item, please collect as soon as possible. 2019 WYC Information and Programme booklet sent to printers! 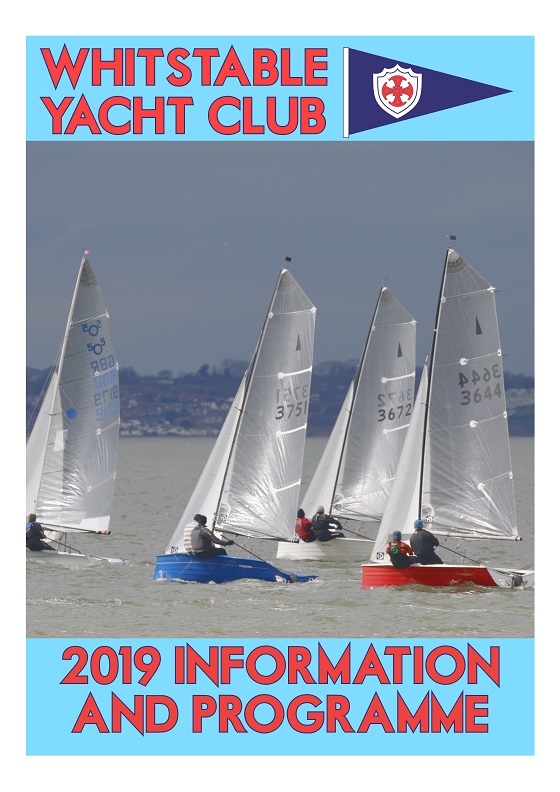 2019 Sailing and Cadet programme now available in Google Calendar and iCalendar format! You can now add the 2019 Sailing programme and the Cadets & Families programme to your phone or computer's calendar. Both are now available to add from Google Calendar or download in iCal format. Head to wyc.org.uk/on-the-water/schedule or wyc.org.uk/cadets/Events for details. Thanks to Richard Jones for creating the files! Note: if you added the WYC calendars to your google calendar last year, you may not need to do anything! Check to see if the 2019 events (first race on 10th March!) have appeared on your phone! 2019 Sailing Schedule now online! 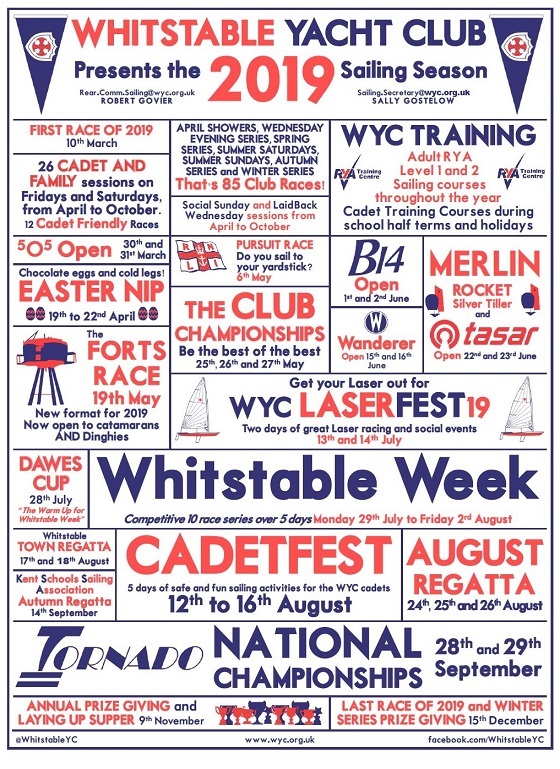 It's only 5 weeks to go until the start of Whitstable Yacht Club's 2019 sailing programme! The paper programmes are being printed and will be sent shortly, and the online schedule is now available on the website at wyc.org.uk/on-the-water/schedule. Please check and note your 2019 duty. If you have any questions about your allocated duty, please contact your Class Captain (wyc.org.uk/contact/Committee-Members). See you on the water soon!